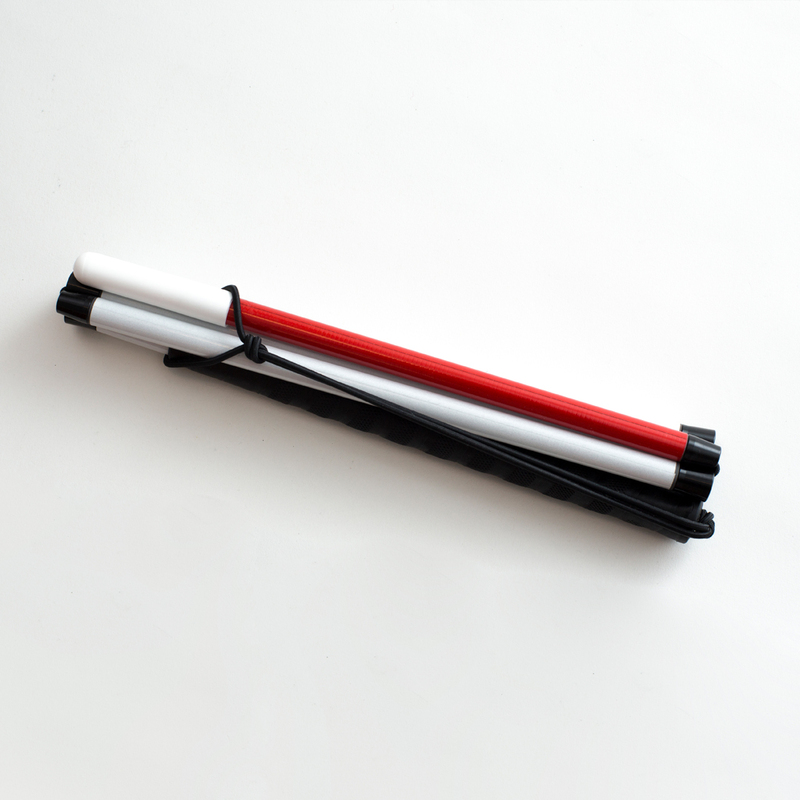 The WCIB (from White Cane Instruments for the Blind) folding canes are made of heavy duty aluminium and fold into 4 sections. They have snug fitting joints that will not wobble or stick. 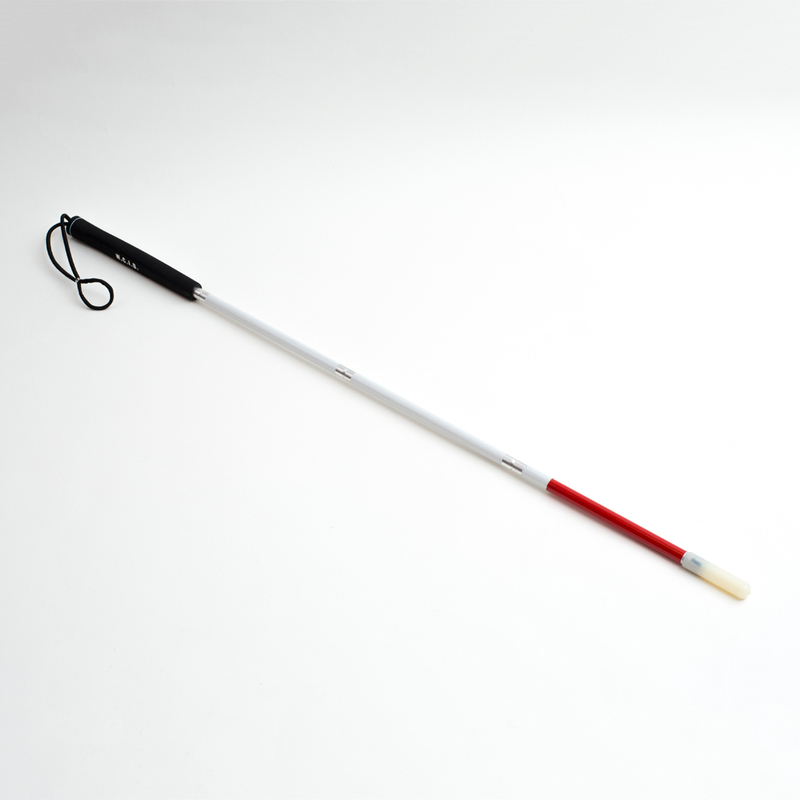 Each cane is fitted with double elastic shock cords to secure it firmly while extended. 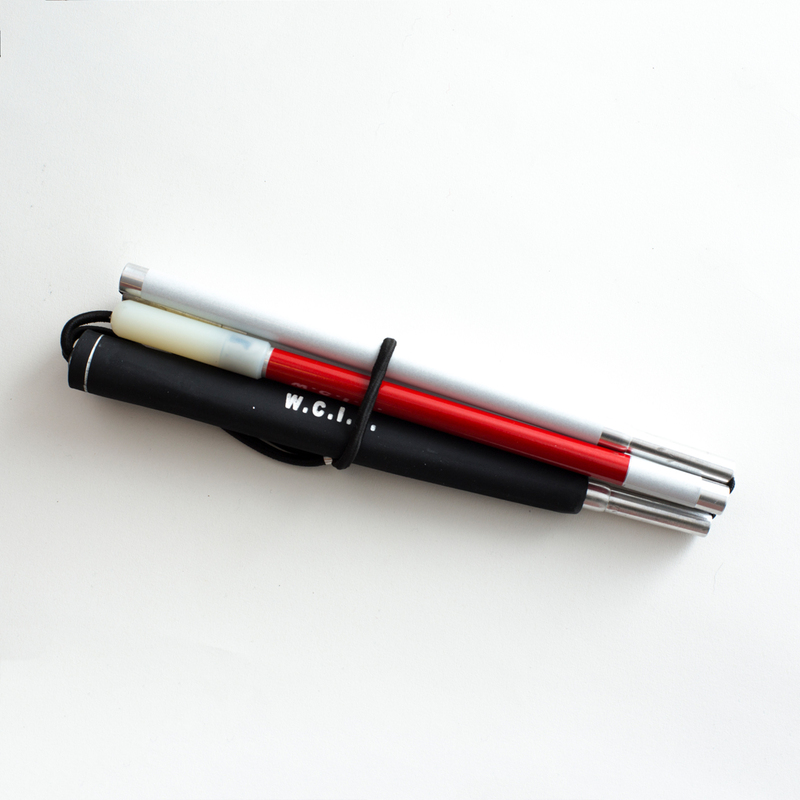 All WCIB folding canes feature golf-type grips, flexible wrist loops, Scothlite coating and the standard red band at the base. Available sizes range from 34″ to 60″ in 2″ increments.